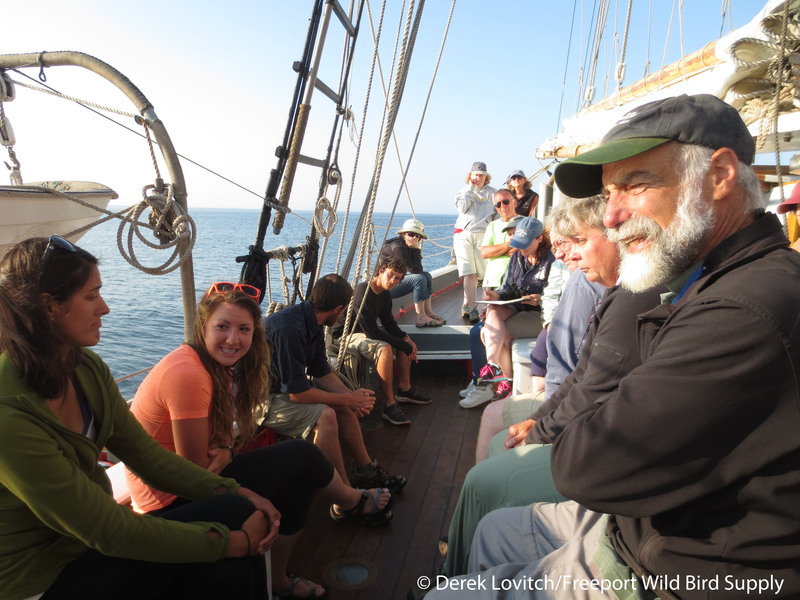 There are no promises when you lead birding trips by sailboats, but the 2014 Birding By Schooner Aboard the Lewis R. French Tour once again delivered! 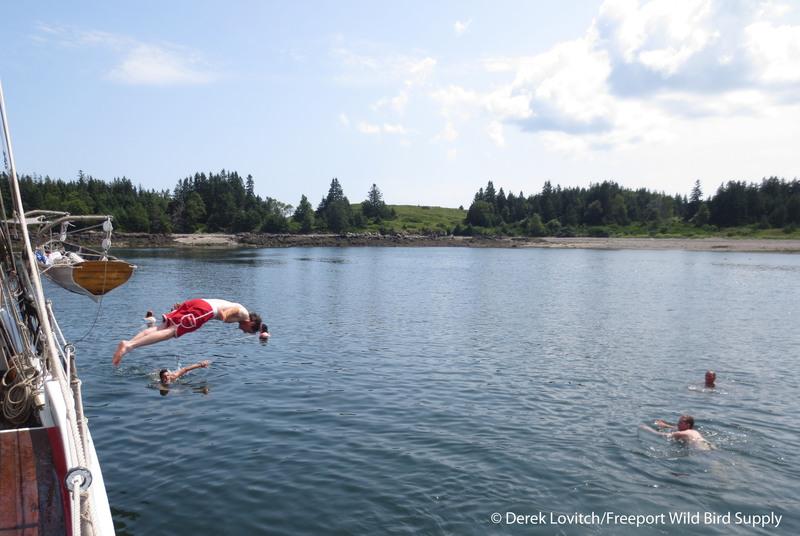 This is a very unique trip – not just unique in terms of the tours I lead, but unique for Maine, and as far as we know, everywhere else. 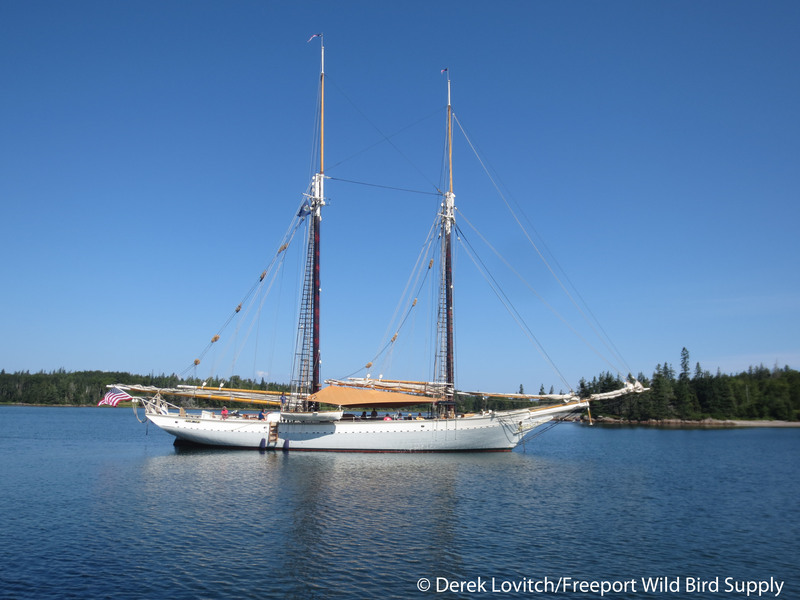 While last week found us plagued by beautiful weather – yup, plagued, we need wind! – great birding, great food, and good company were thoroughly enjoyed. 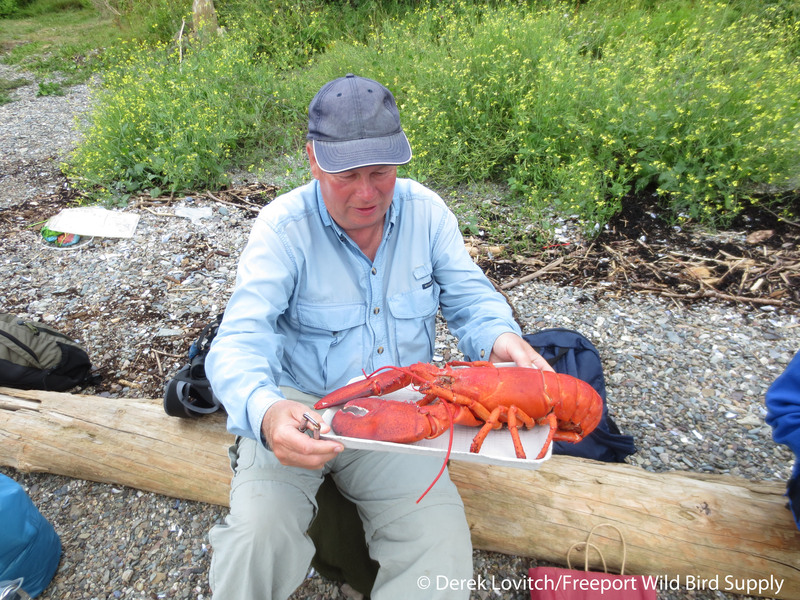 While our total trip list of 78 species of birds (plus 5 mammals: Harbor Porpoise, Harbor Seal, Gray Seal, Minke Whale, Red Squirrel, one amphibian: Red-backed Salamander, several dragonflies, and 6 species of butterflies) was below our average, we had a few real treats…one in particular. The wind direction and intensity (or, as in this week, lack there of) dictates where we can and cannot go over the course of our 6 days at sea. Luckily, the first day found conditions acceptable for heading to our number one goal: Seal Island. 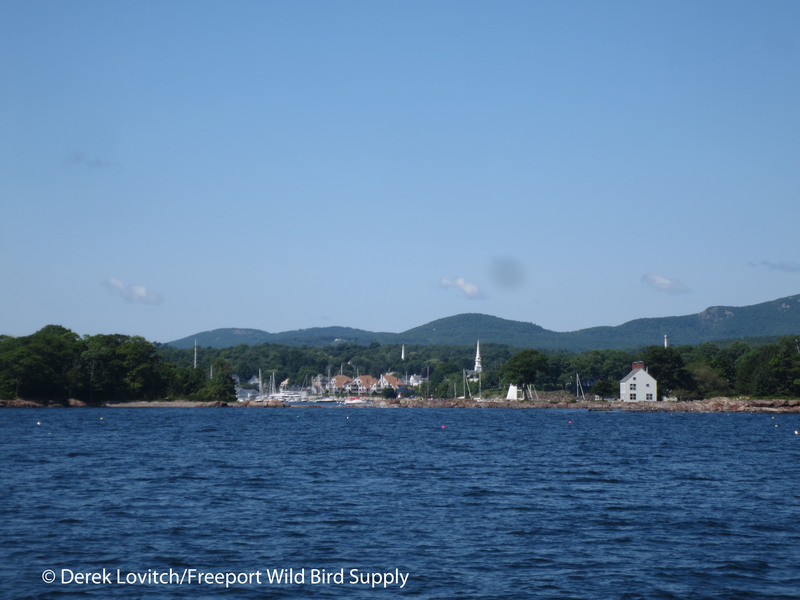 Departing Camden Harbor, we set sail directly to this remote seabird island. Perhaps our only true “schedule” of the week, our goal was to arrive at a very specific time, for a very specific bird. Captain Garth Wells adeptly navigated our way to arrive about 10 minutes before show time. 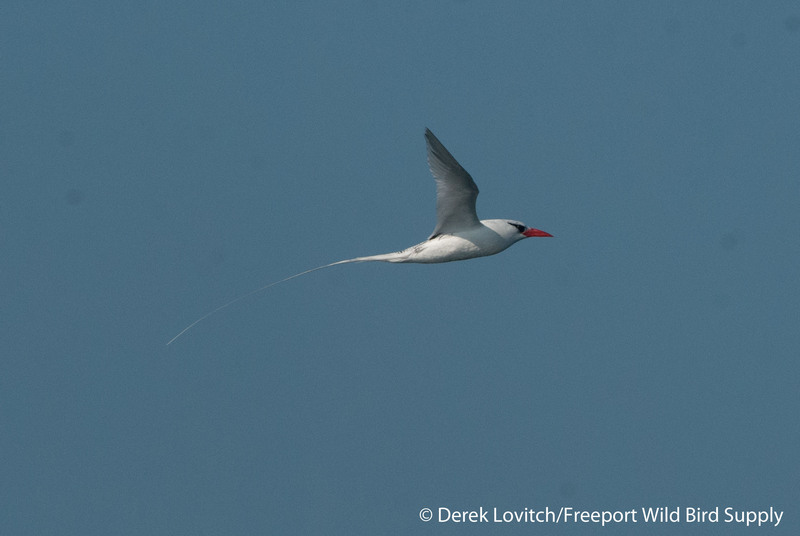 “Troppy,” the famous Red-billed Tropicbird that has called Seal Island and vicinity its home for the past 10 summers arrived right on queue. I first spotted it flying around the island in the distance. 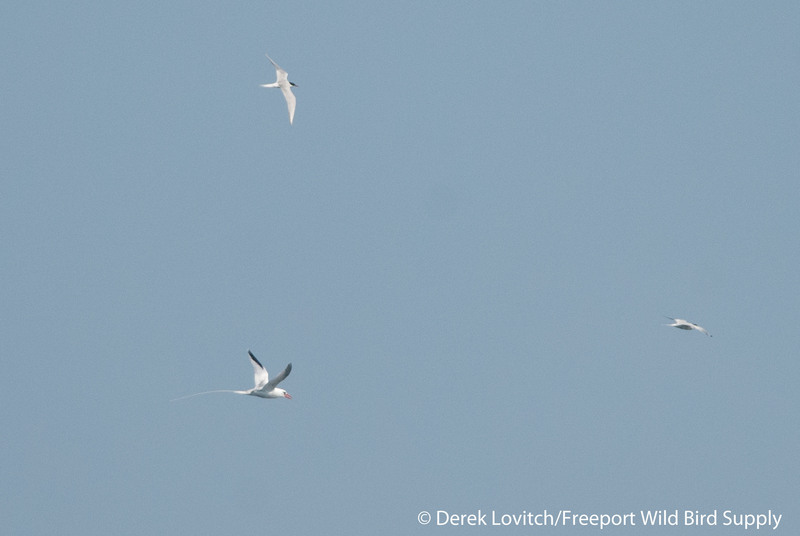 …Before turning away and heading back to the island, often escorted by Arctic Terns. Oh yeah, there were several hundred Atlantic Puffins in the water too, and later, as we hosted the Seal Island biologist crew aboard for dinner and conversation, a Parasitic Jaeger. 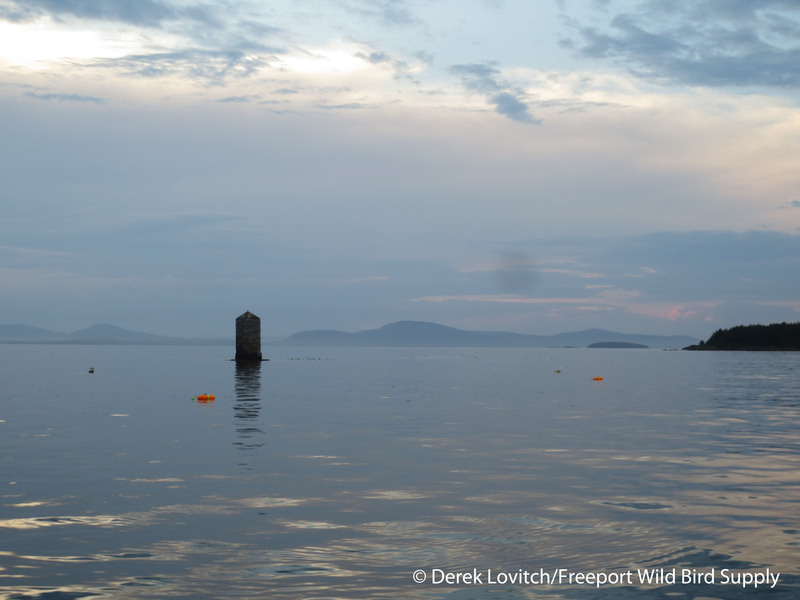 As the sun set, fog rolled in, and by 10:30, we began to hear the cackles and chatters of Leach’s Storm-Petrels as they commuted to and from the island in the cover of darkness. Several of us awoke in the middle of the night to listen, and we were rewarded with a constant cacophony of this intriguing, and a bit disconcerting, sound. 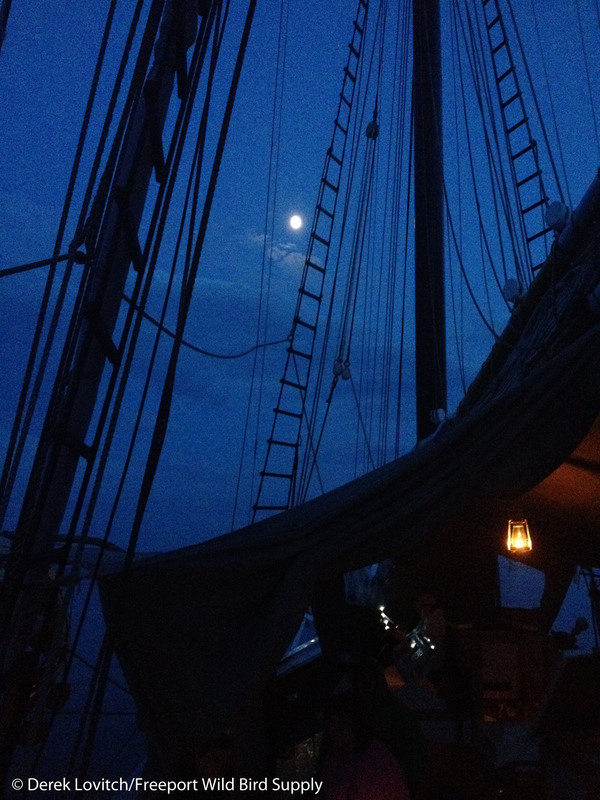 Since we have the luxury of anchoring off of Seal – weather permitting of course – we not only have a great success rate with Troppy, but we also have the rare opportunity to listen to the nocturnal chorus of this pelagic specialty. 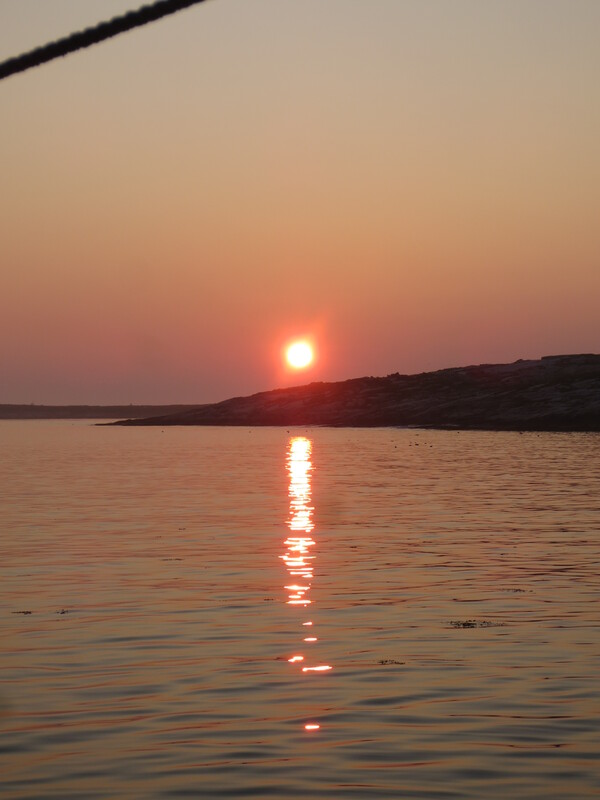 …we enjoyed countless puffins, Black Guillemots, and Arctic Terns, along with at least a dozen Great Cormorants from the local breeding colony, a couple of re-orienting migrant Yellow Warblers at dawn, and several singing Song and Savannah Sparrows. Surprisingly, we tallied 9 species of shorebirds (plus Sanderling the day before): the locally-breeding Spotted Sandpipers, but also 40+ Semipalmated Sandpipers (plus another 50 unidentified peeps), 9 Ruddy Turnstones, 9 Short-billed Dowitchers, 3 Black-bellied Plovers, 3 Semipalmated Plovers, 3 Lesser Yellowlegs, 2 Least Sandpipers, and my first White-rumped Sandpiper of the fall (and a pretty good bird out here). A single Red-winged Blackbird dropped in from high above, and we spotted another Parasitic Jaeger. Shorebirds – a continued theme throughout the trip – were one of the benefits of conducting this tour two weeks later than usual. 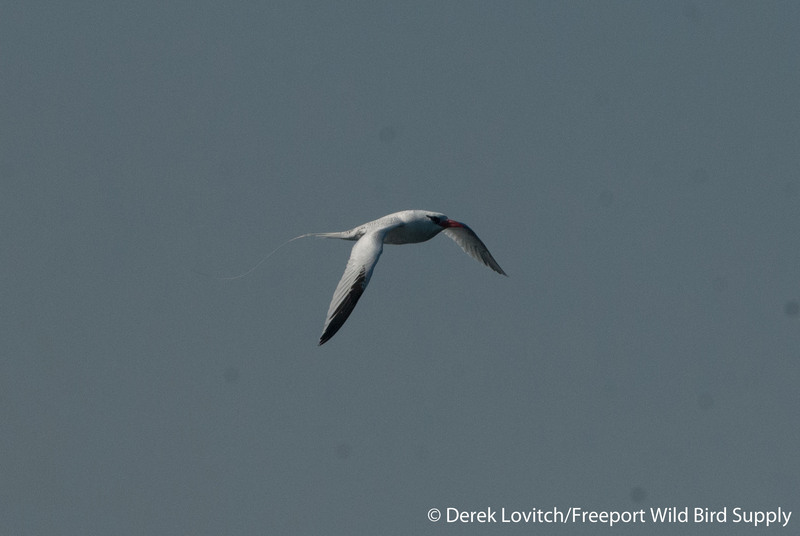 We also had high hopes for pelagic shearwaters, but our doldrums had set in. Little wind was present as we traveled from Seal to Matinicus Island, and therefore any shearwaters in the vicinity were likely sitting tight, conserving their energy. Two unidentified jaegers, 5 Red Phalaropes, and 28 Wilson’s Storm-Petrels, along with several more Atlantic Puffins and a few Northern Gannets kept our interest however. …we saw plenty of puffins and more Arctic and Common Terns, but our late departure date cost us: Common Murres and Razorbills were nowhere to be found (don’t worry; we resume our usual third week of July itinerary next year!). But, we did have a treat with a single cooperative Manx Shearwater! As we made a pass around Matinicus Rock, it was time to read the winds (or once again, the lack there of) and make a choice. 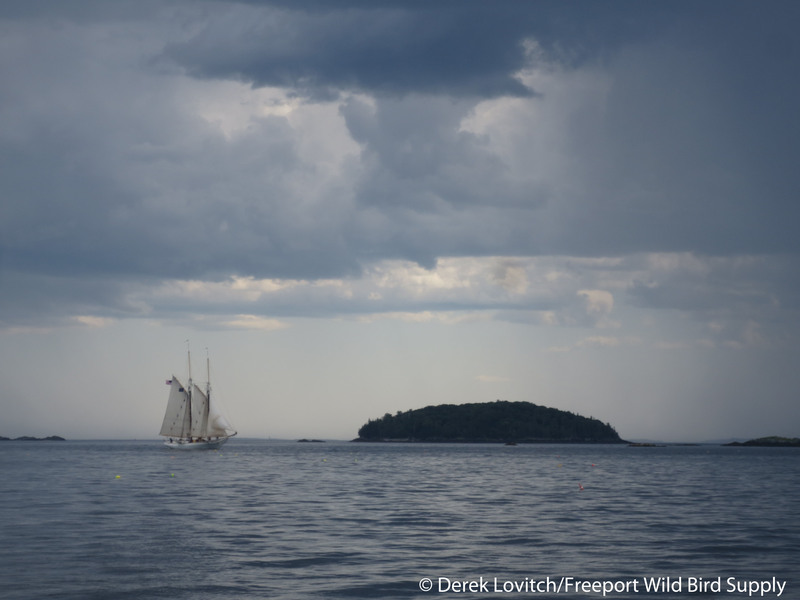 We had hoped to turn towards Monhegan Island for birds (and the brewery! ), but that would have been a very long, perhaps even uncomfortable slog. So instead, we turned inland, and set a course of Port Clyde. 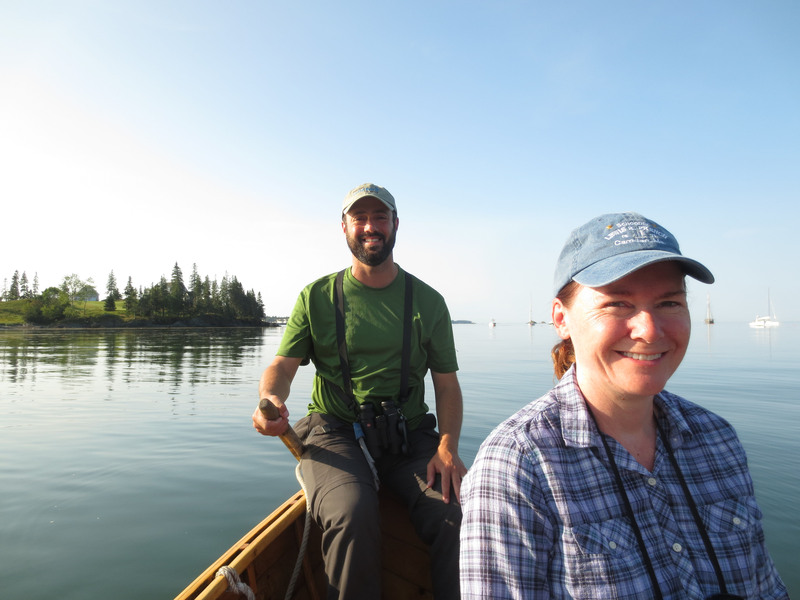 We traveled through some relatively deep and open waters, but shearwaters were nowhere to be found. Another Parasitic Jaeger, 100+ Wilson’s Storm-Petrels, 21 Northern Gannets, 4 migrant Short-billed Dowitchers, a Minke Whale, and two Mola Molas were enjoyed, as were the numerous Harbor Porpoise that were constant companions throughout the tour, easily seen in the often glass-calm waters. 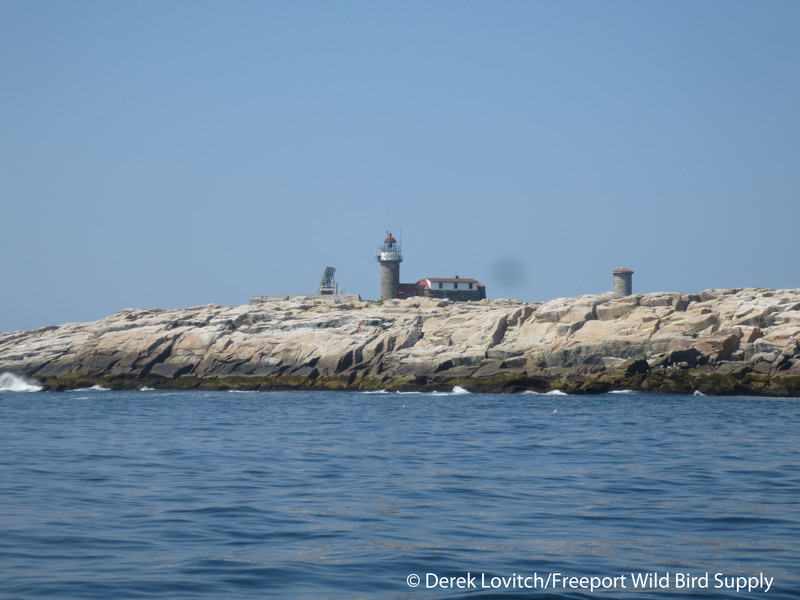 Rounding Metinic Green and passed Marshall Point Light, we dropped anchor in the quintessential mid-coast harbor of Port Clyde. In the morning, we hopped ashore, and took a bird/plant/sightseeing walk to the lighthouse, slowly but steadily building our trip list. A Broad-winged Hawk being mobbed by a half-dozen or so American Robins was the avian highlight. 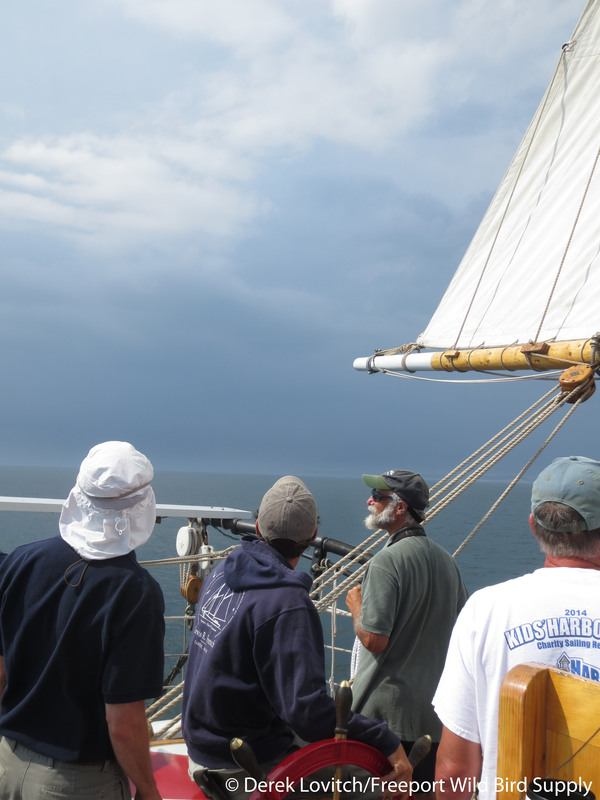 Once again, our goal was Monhegan, but once again, barely a puff of breeze was available. Even if we pushed our way out there with our yawl boat, we would have had a hard time making it back the next day – no wind was forecasted, and we only carry so much fuel! We also have to plan one step in advance, and set ourselves up for where we needed to be the next day. Mutiny was considered, but the difficult decision to turn east was made. Heading towards North Haven, another 16 Wilson’s Storm-Petrels were added to the tally, but our chumming attempt in these inshore waters was expectedly futile (but we had to try as we had picked up bait in the morning. 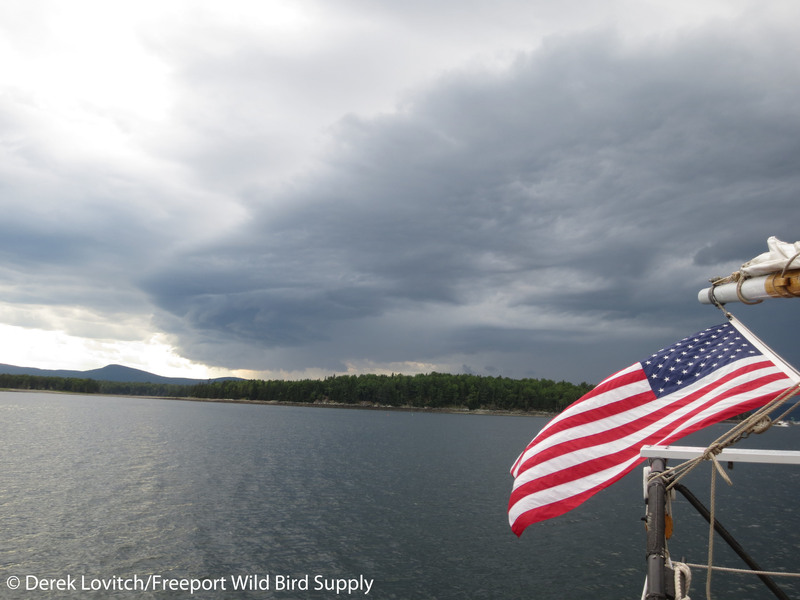 Unfortunately, the deepest water that we were to pass through was traversed in the middle of a rather heavy thunderstorm, which we were not able to outrun sailing at a mere 3 knots (well, until the storm itself was upon us!). 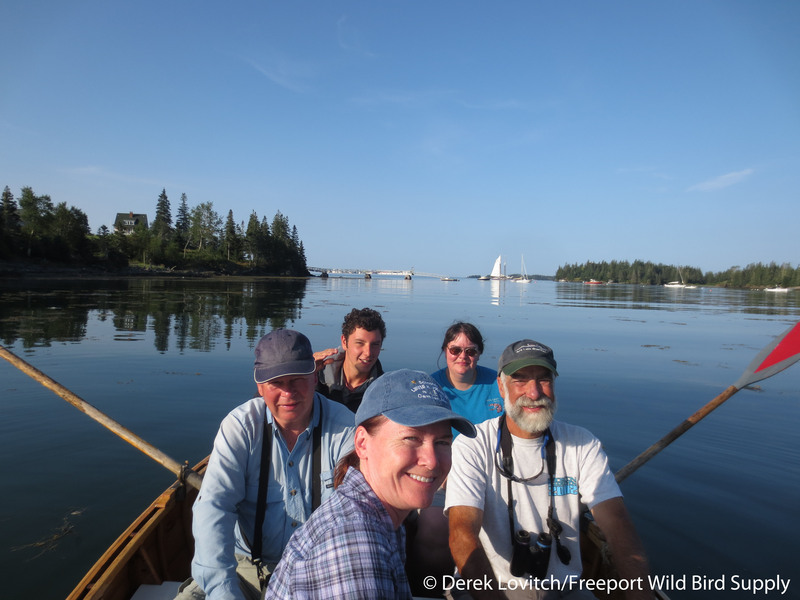 We entered the Fox Island Thoroughfare and dropped anchor in a little bay off of Amesbury Point on North Haven Island. 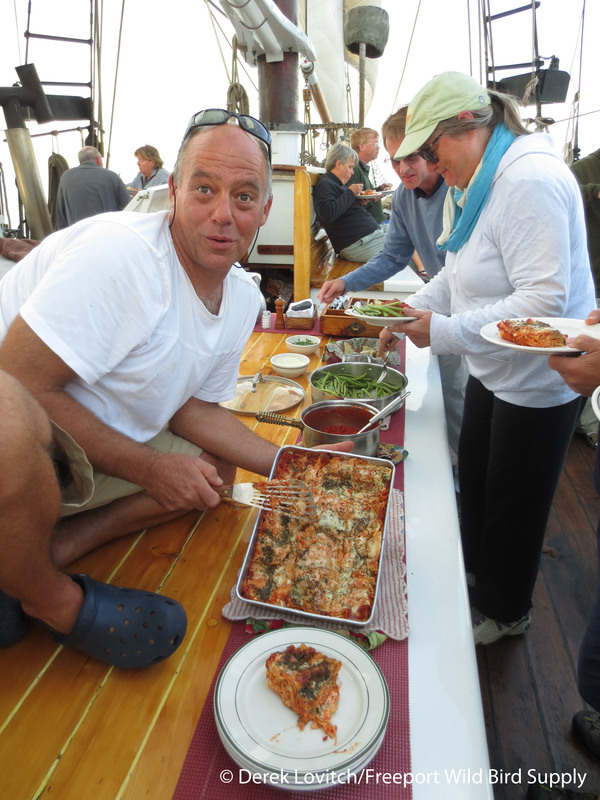 Another delectable dinner was then served by Chef Scott – who is not your average schooner cook! …and we heard several shorebirds calling from up the bay, and two Snowy Egrets passed by overhead. Therefore, we decided to mix things up a little with a pre-breakfast row to check things out. I took the helm, and somehow guided us successfully to and from the boat. I was just happy to not run into anything, but a nice mix of shorebirds included 8 Least and 2 Semipalmated Sandpipers, 2 Spotted Sandpipers, and one each of Killdeer and Greater Yellowlegs. 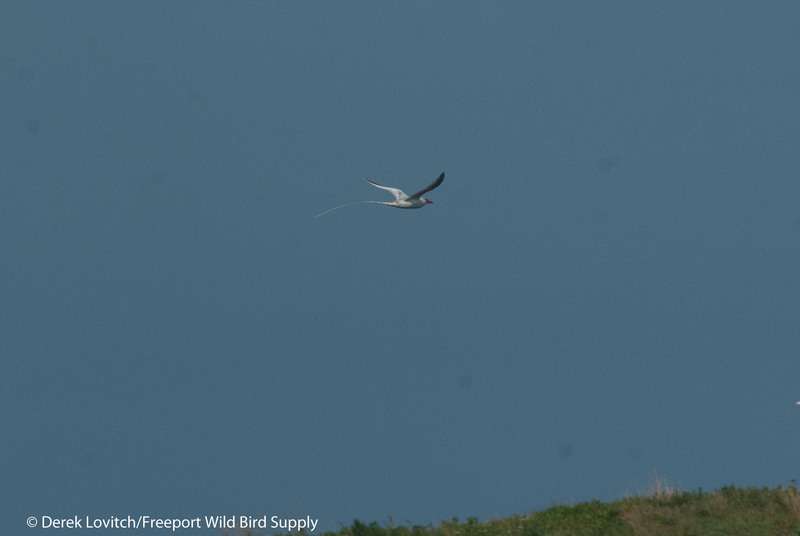 A short sail (again, little wind) through the Thoroughfare yielded the first Bonaparte’s Gulls of the trip, some Common Loons, and plentiful Ospreys. Dropping anchor off of the Calderwood Island Preserve, much of the boat hit the water, including our Captain. 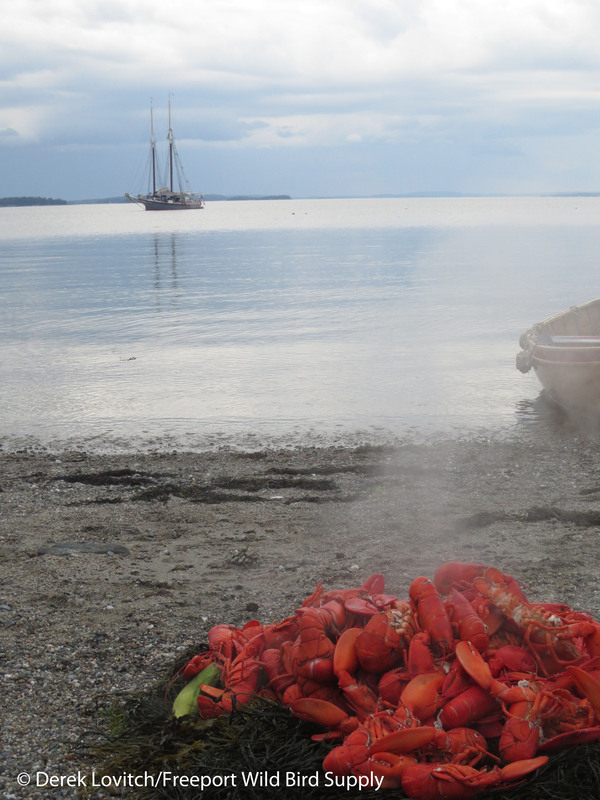 Then, it was time to row ashore for one of everyone’s trip highlights: the lobster bake! While things got cooking, I led a walk around the preserve, adding a few landbirds to the list. Song Sparrows and Common Yellowthroats were especially conspicuous, but I couldn’t help but wonder what migrants the extensive raspberry-gooseberry-juniper thickets that covered much of the island would hold…and rarities? …perhaps with the exception of Nihls, who bit off a little more than he could chew. 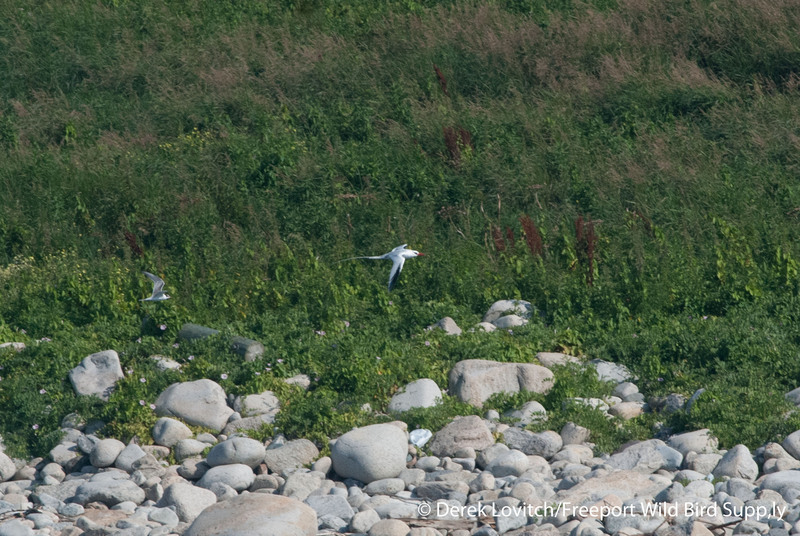 Returning to the boat, we adjusted our position for the night, and scoped a small rocky islet that as the tide rolled in, amassed 64 Bonaparte’s Gulls and several families of Common Terns – adults were commuting to and from the island with fish for their hungry fledglings. It was clear and calm once again at sunrise (we joined the Mary Day at anchorage last night), but a Winter Wren serenaded us from the island. 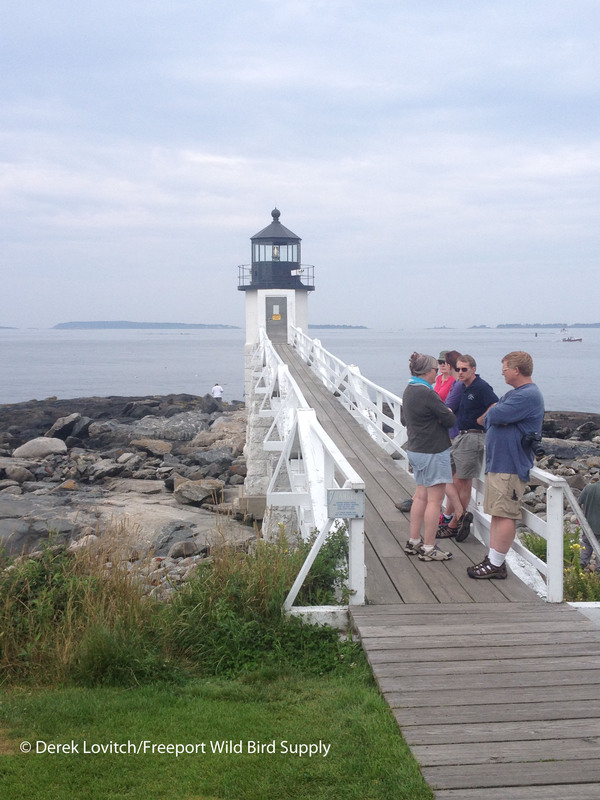 We rounded the southeast corner of North Haven Island, and headed for Islesboro. 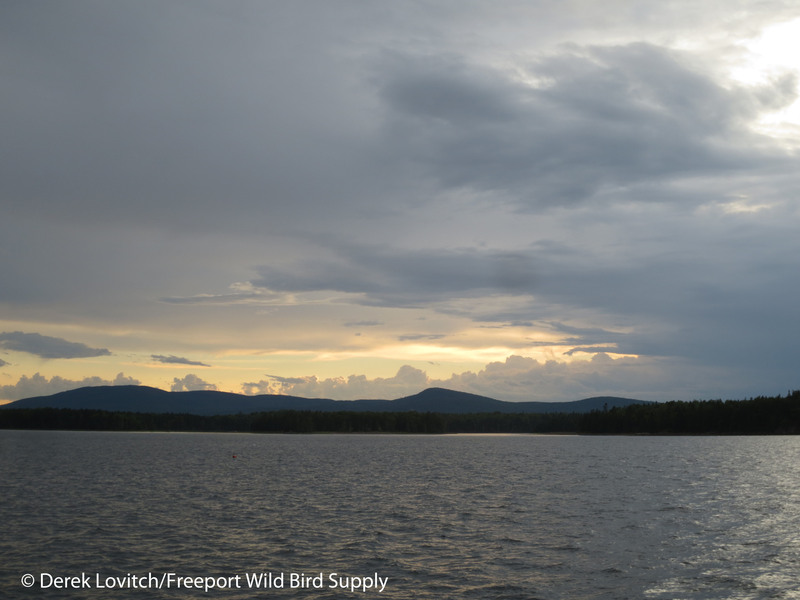 The waters of Penobscot Bay are not overly birdy at this time of year – other than plentiful Black Guillemots, Ospreys, Bald Eagles, gulls (mostly Herring and Great Black-backed with smaller numbers of Laughing, Bonaparte’s, and scattered Ring-billed), Common Eiders, scattered Common Loons, Double-crested Cormorants, and so on. But as we passed various little islands, our triplist slowly grew with the likes of a migrant group of Tree Swallows, a single Barn Swallow, a hunting American Kestrel, and plenty of Harbor Seals. Ruddy Turnstones were also scattered about. 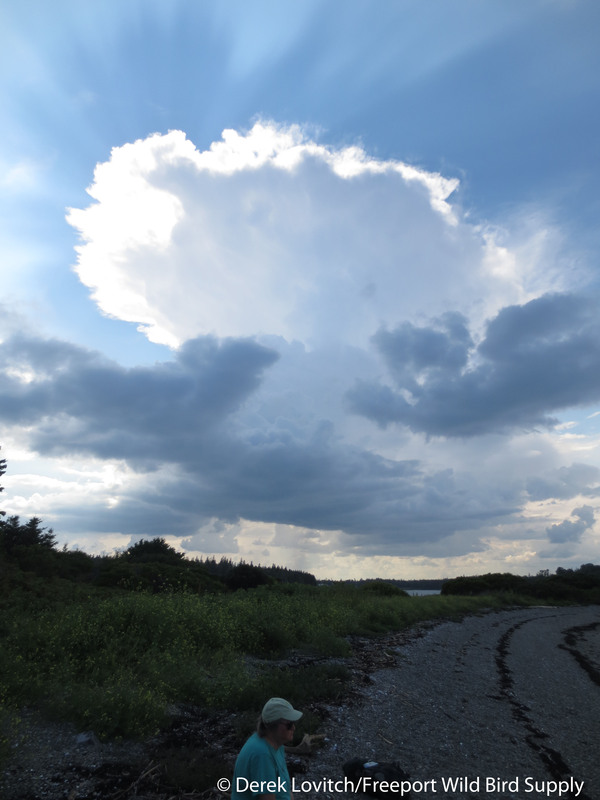 …but we managed to make it to the shelter of Gilkey Harbor off Islesboro before things got too hairy today. 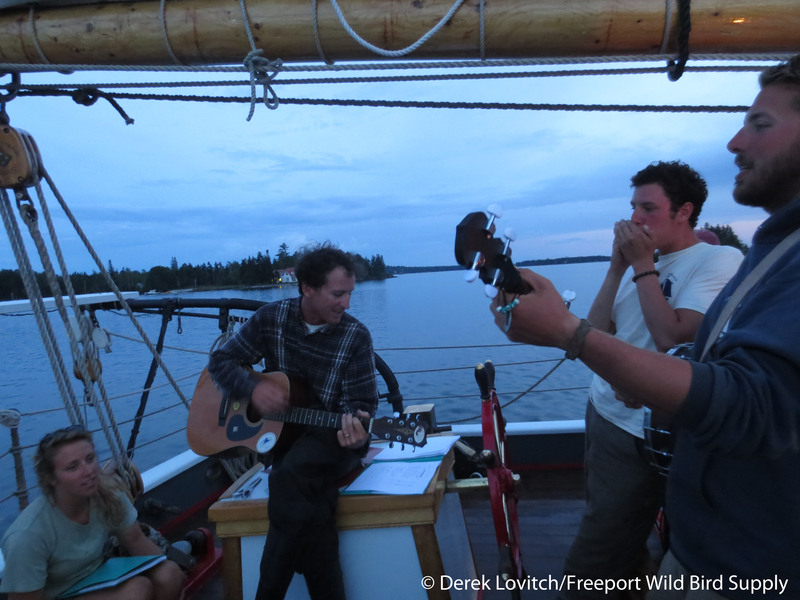 …more delectable food, and evening entertainment from the crew. Several flight calls early in the night overhead suggested that the front had finally cleared, and fall migrants were once again on the move. Another lovely morning greeted us on our final day aboard the French, but not before we raced ashore for one last birdwalk. 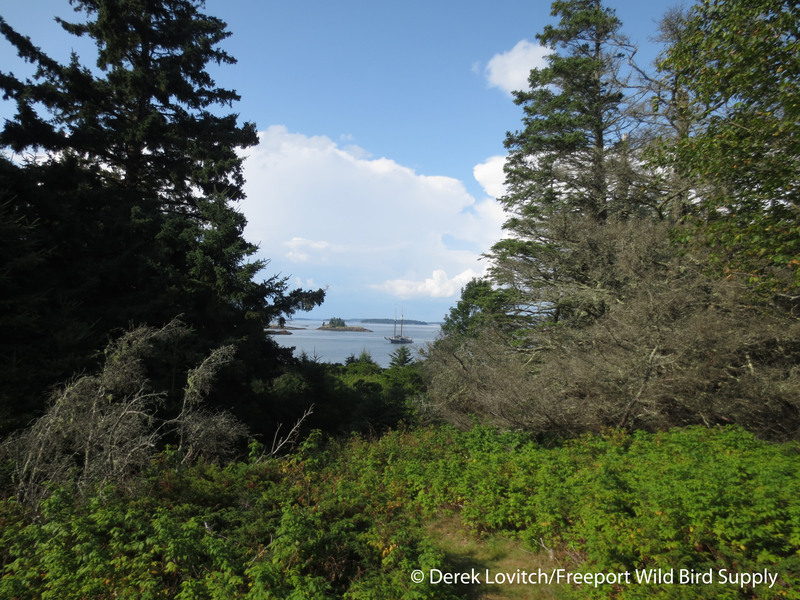 This time, we checked out Warren Island State Park. We added several species to our list in one single Paper Birch just off the pier (Brown Creeper, Northern Parula, Yellow-rumped Warbler, and Black-and-white Warbler) while a delightfully birdy stroll added Hermit Thrush and Gray Catbird, plus great views of a variety of other species as we also spent time looking at plants and discussing the ecology of the Maine islands once again (and ranting about invasive plants). 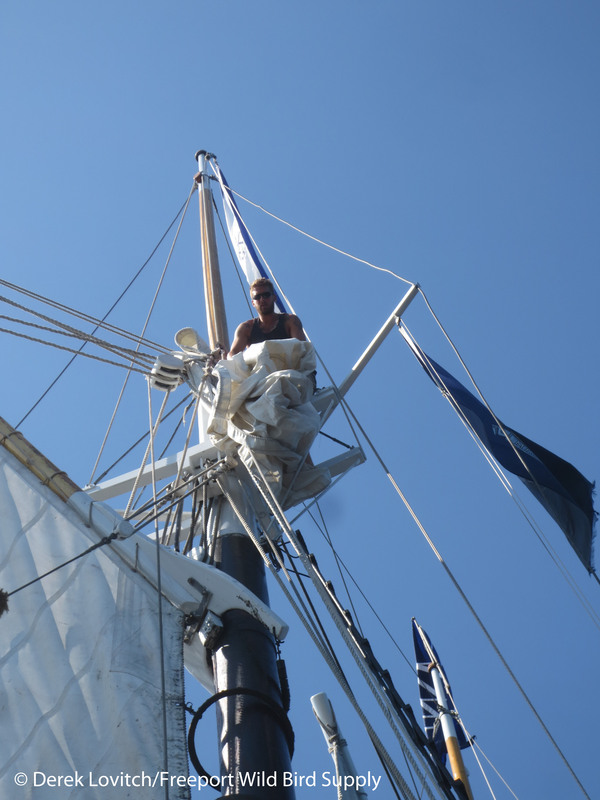 But alas, all good Birding By Schooner tours must come to an end, so sails were set and we headed for home. Turkey Vultures over the Camden Hills and Chimney Swifts over the harbor were our final 77th and 78th species of the journey and we pulled into the dock. Goodbyes were said, belongings were gathered, and Captain Garth and I immediately began to plot for next year’s trip. 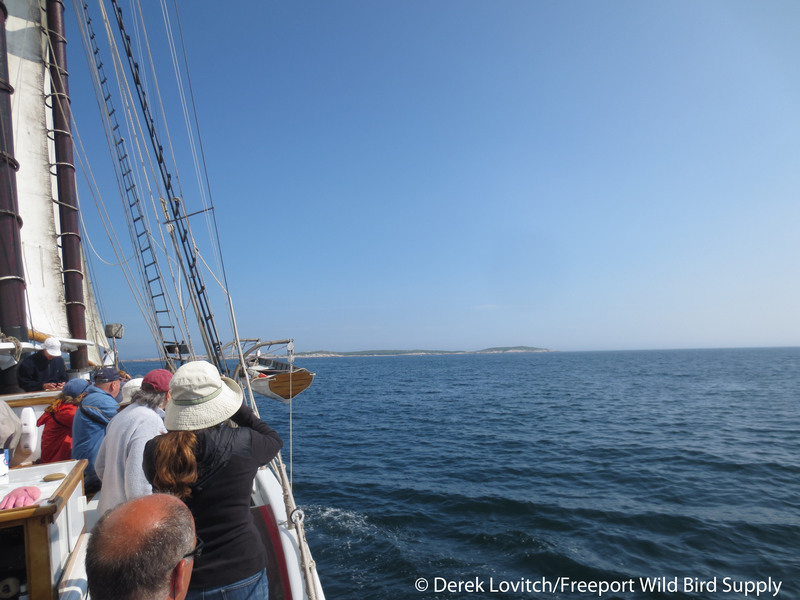 This entry was posted in Birding in Maine, Private Guiding and Tours and tagged Atlantic Puffin, Birding, Birding By Schooner, Maine, Red-billed Tropicbird, Schooner Lewis R. French, seabirds, Seal Island, shorebirds, Tours, Windjammer on August 10, 2014 by Derek.